Starvision Yacht Charters specializes in the design and implementation of our clients yacht experience. Starvision Yacht Charters also offers the client our services in scheduling additional activities, tours, hotel accommodations and transportation. From full service airport meet-and-greets to special interest tours, the Luxe Yacht team uses their extensive knowledge of Miami and surrounding South Florida area, exclusive relationships, flexibility, valuable resources and ability to facilitate unique programs. From the Simple to the Exotic and Everything in-between and BEYOND, we will make it Happen! 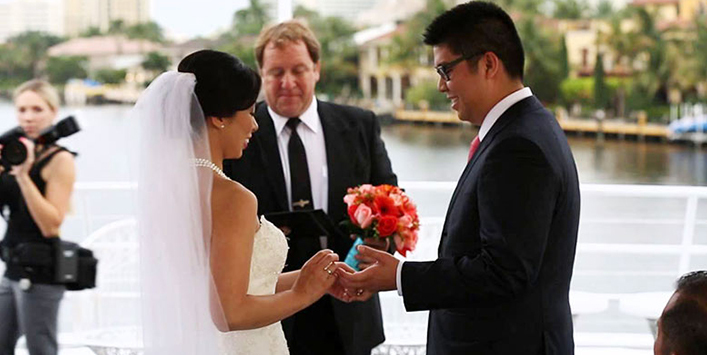 As a premier wedding planner and event company in Miami, Starvision Yacht Charters is your total destination for a memorable experience. From selecting the perfect venue to an imaginative theme, we take care of every detail to make your event a stress free, seamlessly managed occasion for you and your guests to enjoy. Looking to create an event to be remembered? A themed event aboard a privately chartered boat might be just the ticket. We can come up with a variety of unique theme options for you to choose from. Our experienced event planners will coordinate each element of the event to tie into the theme. We will create an event guests will talk about!